The new taxi design has been completely revamped, which includes a new platform architecture, a 3-cylinder 1.3 litre petrol engine based on Volvo-technology as a generator for a large battery pack and electric motors and a state of the art plug-in powertrain, allowing a pure-EV range between 70 to 400 miles. 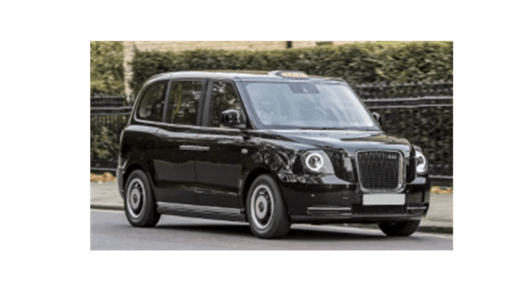 In an era of constant change, evolution and development we have seen the launch of various greener, environmentally friendlier electric black cabs by the London Electric Vehicle Company (LEVC), shortly after its competitor Evotec. The aim, is to meet legal requirements as well as provide pollution free, safe and comfortable transportation available to all. The TX model has been produced after many years of combination and collaboration of technological knowledge and expertise between designers and engineers. 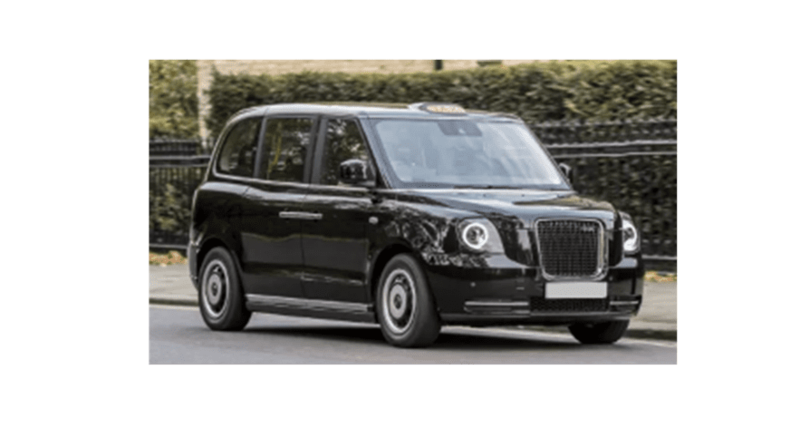 A typical TX electric taxi is priced around £56000 in a wide number of ranges and financial modes. However, the London Electric Vehicle Company (LEVC) has introduced a variety of flexible pricing mechanisms for the TX4 plug-in replacement to ensure drivers can purchase on a weekly / monthly basis on a five year lease deal. The flexi option includes cost of the battery too. LEVC aims to produce automobiles of a wide range of designs, shapes and applications in the long term. LEVC envisage a £100 weekly fuel saving due to the TX’s 70 mile electric range. LEVC, formerly called the London Taxi Company, manufactures its cars in Coventry, an investment of £325 million in a new factory by Geely, the Chinese owners of LEVC. This new plant has created 1000 new jobs and will lead to construction of new electric vehicles for worldwide export, with a capacity to produce 20,000 vehicles per year. The new site will also have an R&D facility to help produce lightweight aluminium body structures and future electric powertrains. The TX, was designed in Barcelona, Spain by Geely, the Chinese owners, which has embraced Volvo technology. Early orders and interest has arisen from various European cities, especially Amsterdam, which have ordered 225 vehicles initially. The new TX has undertaken trials in places such as Arizona, under severe weather conditions. The TX has invested in the latest engineering and design to produce a customer friendly vehicle. The driving force behind the new electric black cabs has been the new emissions legislation being introduced in London and other European cities. Consequently, many automobile manufacturers have upgraded and invested heavily into the developing greener, electric cabs. It has been widely acknowledged that air quality has been very polluted for many decades and something needed to be done. Targets have been set to rapidly convert black cabs to TX by 50% by 2020, nearly 12,000 vehicles. Built for purpose – designed to deliver. Iconic styling – distinctive circular headlights, coach-doors, a bold front grille, and an instantly recognisable roofline. eCity technology – range-extended electric, zero-emissions capable technology reduces running costs and gives unrivalled range flexibility. Driver comfort – your mobile office, ergonomically and thoughtfully crafted for long hours at the wheel. Technology – from cruise control to parking sensors, the latest equipment and driver aids are designed to make your life easier. Passenger experience – Seating for up to six people, a panoramic glass roof, charging ports and fast on-board Wi-Fi. Safety – a strong body structure, full complement of passive safety systems and cutting-edge active driver assistance provides peace of mind. 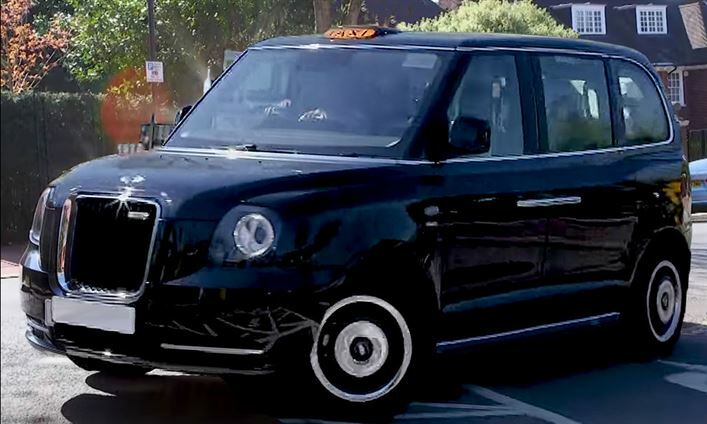 The TX is a well-equipped taxi where the standard VISTA specification blends high-end accommodation for both driver and passengers with innovative technology and user-friendly features. The developments have been made to enhance a superior driving experience. Electrically adjustable with extended knee support and tilting base. Quickly defrosts, with a timed cut-off to save energy once clear. Built-in, integrated UK and European mapping with guidance. Wide-angled reversing aid viewable through centre console. Electronic, bumper-mounted sensors with audible warning. The equipment is built for purpose and up to specification. The TX is a well-equipped taxi, who have extra options with the Comfort and Comfort Plus option packs you can enhance the levels of comfort and convenience even further. TX not only filters the air you breathe to prevent contaminants from entering the cabin, it monitors the quality of the air flowing to the interior vents and automatically closes the intake if high levels of pollution are detected, protecting you and your passengers from any harmful effects. The roof panel incorporates layers of thick, reinforced glass with a tinted security film between them. The film blocks 95% of emitted light energy from entering the cabin, creating a secure and pleasant environment for passengers to enjoy dramatic views of the skyline. Passengers will be able to connect to the inbuilt Wi-Fi onboard the TX. A dedicated USB socket, located in the driver compartment for optimum signal, will allow passengers to connect to the Wi-Fi. The high-speed Wi-Fi dongle is included with the taxi, along with a 12 month data contract. The new TX has been designed to meet the requirements of modern passengers; the interface allows quick, simple and safe electrical installation of a wide range of aftermarket devices without damage to existing wiring harnesses. Within the passenger compartment, the outer flip seat can rotate to a fixed position outside the passenger door. When used in conjunction with the wheelchair ramp, even passengers with severe mobility challenges are able to enter the vehicle without unnecessary hassle for them or for the driver. Passengers will be able to connect to the inbuilt Wi-Fi onboard the TX. A dedicated USB socket, located in the driver compartment for optimum signal, will allow passengers to connect to the Wi-Fi. The high-speed Wi-Fi dongle is included with the taxi, along with a 12 month data contract. The bright, efficient LED headlights are fully-automatic and feature electronic self-levelling, on/off control and a sensor that detects other vehicles and street lighting to switch between dipped and main beam automatically, so you’re assured of optimum visibility at all times. Long service intervals of 25,000 miles mean less downtime for you, and our fully trained technicians are equipped with the latest systems and tools to keep your TX performing at its best. LEVC have partnered with the RAC to give TX drivers access to their 1,500 patrols, 24 hours a day, seven days a week. So wherever you are in the UK, help is never far away. RAC Roadside Assistance is included free of charge for 12 months with every new TX. The most convenient and cost-effective place to recharge the TX is at home. Through Charge master, LEVC can offer a one-stop home charge solution for just £299 including VAT, which includes a £500 contribution from the Office for Low Emission Vehicles (OLEV). The new TX has been designed and rigorously tested to meet the full requirements of a purpose-built taxi cab. The drive battery is protected by a market-leading, five-year, unlimited mileage warranty, and every TX is also covered by a fully comprehensive whole vehicle warranty for three years, or 120,000 miles. All non-wearing components, from motors to ball joints to bushes, are covered against manufacturing defects for the full duration of the warranty – which means no unforeseen repair costs and a hassle-free ownership experience. LEVC is also studying the TX5 platform as a basis for a commercial vehicle, allowing the production of a small petrol-electric van to meet the future requirements if city centre’s ban diesel. The TX contemporary design and Volvo-inspired interior have been inspired by previous models, with a vertical front grille and rounded headlights with LED lights. The TX interior, utilises a large portion of the design and technology elements from Volvo’s passenger models, such as the large, portrait-style central touchscreen, digital instrument cluster and an executive seat. The steering wheel has more space for both driver and passenger, with separate air-conditioning controls for the rear seats. There is a WiFi option available for passengers to use and rear-hinged doors open 90 degrees for easy access. It offers six passenger seats, and makes use of a new lightweight aluminium structure and composite panelling, allowing the model to achieve a full five-star Euro NCAP score. It uses a front engine, rear-wheel drive layout, with a market-leading tight turning circle and has a higher specification. 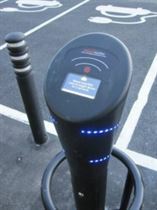 There are government subsidies available for low emission vehicles. Modern technology with great fuel economy and long hours driving. Perfect for the taxi trade. A bit pricey but worth every penny.